Only 231 congregations were expected to participate, and most are extremely liberal theologically or not even Christian denominations (such as Unitarians). Some of the groups are even openly humanistic, so it’s no surprise they are celebrating evolution. Churches across the US and a few in Canada, New Zealand, Scotland, Italy, and England participated. This celebration of evolution came just before Darwin Day, February 12, when many people celebrate the popularizer of biological evolution, Charles Darwin. As Christians, we must recognize evolution for what it is—not a “proven” scientific idea, as some would mistakenly claim, but an anti-God, anti-Bible ideology imposed on the evidence. It’s an ideology that attempts to explain life without God, giving supposed rational justification for atheism and naturalism. 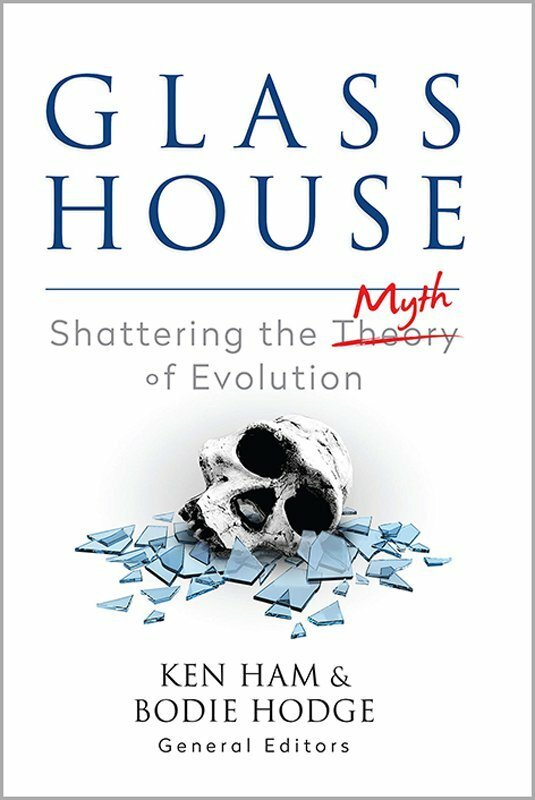 If you preorder your copy of Glass House: Shattering the Myth of Evolution by February 28, 2019, you will receive a free copy of the Glass House ebook when you use the code KHGLASS at checkout. We are skeptical of claims for the ability of random mutation and natural selection to account for the complexity of life. Careful examination of the evidence for Darwinian theory should be encouraged. Now it is important to understand that many of these scientists, while rejecting the idea that evolution is primarily powered by natural selection and mutations, still believe evolution—just a different form of it. Or they believe more research into evolutionary ideas needs to be done in order to discover what mechanism does power evolution. We also need to understand, as Christians, that it’s not enough for us just to stand against Darwin or some form of Darwinian evolution. We need to stand against all beliefs that are contrary to the Word of God, including other evolutionary ideas (evolutionary geology and cosmology, for example) that undermine the authority of the Word of God. So yes, we do applaud what these scientists are doing, but we challenge them to look to God’s Word for the answers to their questions about origins, as many other scientists are already doing. But why don’t more scientists recognize the bankruptcy of evolution? Well, it could be because many are afraid their careers will be ruined if they speak up. Or because, while they don’t see evidence in their field, they believe the other fields have the “smoking gun” evidence. But, ultimately, so many enthusiastically still embrace evolution because it’s a spiritual issue. As Christians, we need to equip ourselves with answers, so God may use us to remove the blinders that are keeping people from recognizing the truth of God’s Word and the gospel, beginning with the very first verse. A new Canadian insect left over from the ice age? Watch the entire episode of Answers News for February 11, 2019.